Prime Minister Justin Trudeau finally addressed the controversy surrounding the birthplace and citizenship of his Democratic Institutions Minister Maryam Monsef. Not surprisingly, Trudeau defended Monsef and claimed on Thursday her critics were “spreading misinformation. In his remarks, Trudeau made four key points about Monsef’s case. Two of his claims were not relevant to her case, one was flat out incorrect and one even contradicted his defence of his star minister. First, Trudeau said that refugees in camps often don’t know where they are born. That may be true in general, but it does not apply to Monsef. Monsef was born in the Imam Reza Hospital in Mashhad, Iran. It is a sophisticated hospital in a high-ranking medical school in a wealthy pocket of Iran. There is no evidence the Monsef family ever lived in a refugee camp. Second, Trudeau made the case that people often don’t know what side of a border they are born in while fleeing a war zone. That may also be true. But it is also not relevant to Monsef. The Iran-Afghan border is a well-defined and heavily patrolled border. Iran is an oil-rich nation where the average person in the mid-1980s was about eight times richer than the average Afghan. I’ve spoken with many people from the region, none of whom believe that a person could reasonably confuse Mashhad, Iran with Herat, Afghanistan. Furthermore, by Monsef’s own admission she was not born in a conflict zone. Monsef says she was safe in Iran. She was not born in a conflict zone. Third, Trudeau said that Monsef was nine years old when she came to Canada. As it turns out, Monsef was born in 1984, not 1985 as she once claimed, and came to Canada in 1996. She was 11 or 12 years old, not nine. Finally, Trudeau emphasized the distinction between an honest mistake about one’s past on a refugee application and a deliberate act of dishonesty to gain status in Canada through fraudulent declarations. 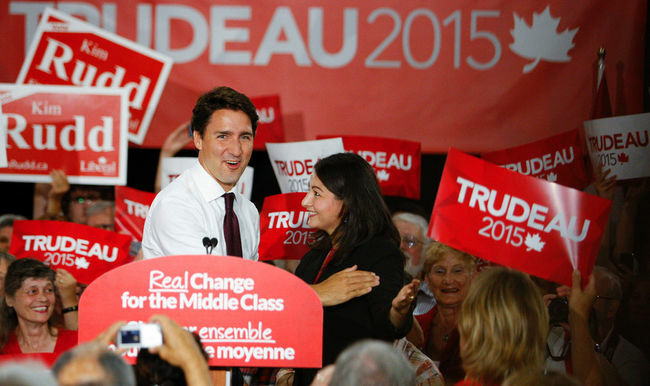 Trudeau implied that Monsef falls into the first category, that hers was an honest mistake. Even if Monsef was in the dark about her place of birth, her mother surely was not.